My favourite winter coffee is a Peppermint Mocha. The blend of the minty flavour with the chocolate is so scrumptious. In this pattern, I have used slipped stitches to create a spiral striping that mimics a peppermint stick. 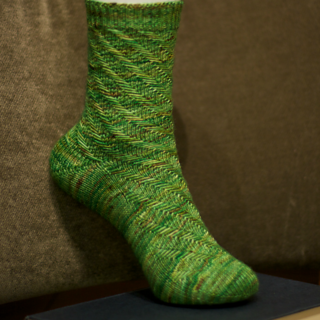 The stitch pattern is appropriate for an advanced beginner, but will provide a prized pair of socks whatever your skill level may be. 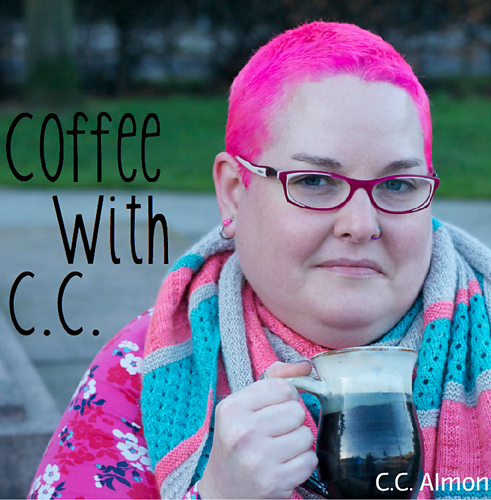 So grab your Peppermint Mocha, your yarn, and your needles and cast on your socks. Happy Knitting! 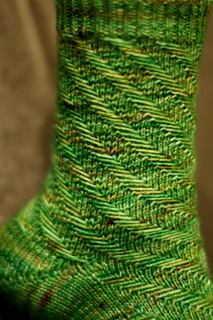 The knitter needs to be comfortable with the following techniques: knit, purl, ktbl, k2tog, ssk, M1R, M1L, W+T, & slipping stitches. Instructions for all these techniques are included in the pattern. 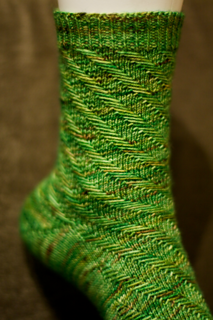 In addition, a video tutorial for the shadow wrap technique of W+T for short rows has been recorded by the designer. 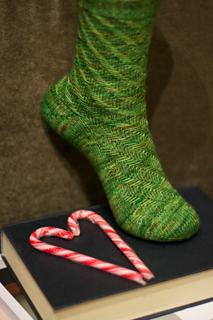 This pattern includes instructions in both written and chart forms for 56 stitch, 64 stitch, and 72 stitch socks.